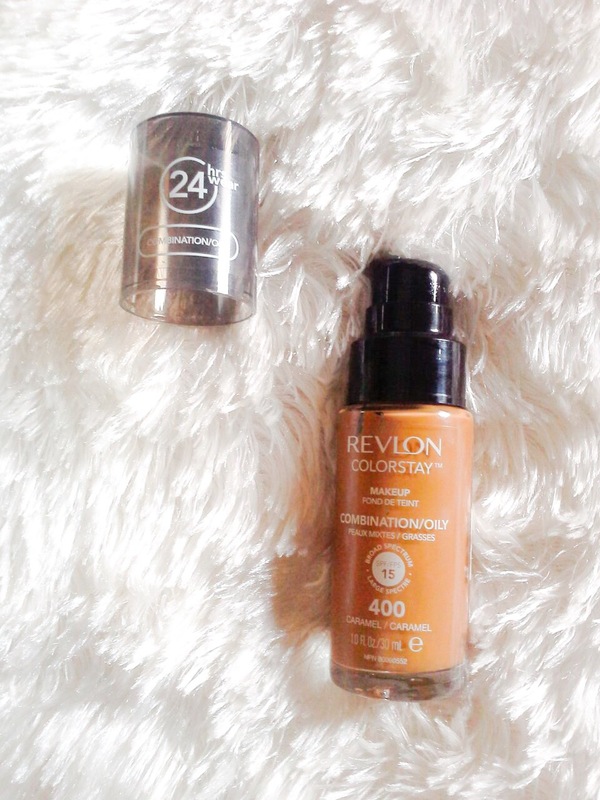 Today, I’ll be reviewing the Revlon Colorstay foundation for combination/oily skin. When I first started using makeup, I wasn’t into liquid foundations. I was totally comfortable with my cream foundation, especially Mary Kay cream to powder, then my fellow makeup lover/junkie Taiwo introduced me to Revlon Colorstay. I was quite skeptical when I was buying it, but when I used it, it was MAGIC! That was February 2015…and now I’ve opened my heart to more liquid foundations but this one holds my heart. I got this again when I needed something inexpensive for my grad that would stay the whole day. Plus it was on my May Wishlist! America’s most-loved longwear foundation, now with a convenient pump applicator and SPF. Flawless, matte coverage that lasts up to 24 hours. Comfortable, lightweight formula specifically made for combination or oily skin to control oil absorption and shine. It comes in a transparent glass bottle with a black cap with “24hr” written on it. It has a thick liquid consistency which makes it able to cover and it dries totally MATTE which I love. This foundation is amazing for people with combination and oily skin, it controls oil very well. It also DOES NOT TRANSFER to clothing; which is really good for an affordable foundation. It comes with a pump (this was one issue I had with the old packaging) and to be honest, this makes me super duper happy! The finish is really nice and it also has SPF 15 (this is why you need sun protection). The only thing with this foundation is that it tends to look ashy especially when it is first applied(I guess this is due to the SPF content). I LOVE this foundation. It is affordable, mattifying, has good coverage, does not transfer, has a pump and has SPF. And I score it a 9/10. This is my foundation soulmate…what’s yours?? Does this mean that you can’t use it if you have dry skin? They have a version for dry skin. Yes they do..but I’ve seen it only a few times in Nigeria. The reviews are also not as great as those of the Combination/oily skin. Have you ever tried it out? Thanks a lot!!! 😊😊 I definitely will check out your blog! This sounds a bit weird but have you tried exerting yourself when wearing this? How does it cope if you get a bit hot or clammy? I’m looking for something that will be good for use on stage. Thanks for the great review! I recently became a foundation junkie in the last one year, tried all kinds of foundations depending on my ability to find my shade cos I am very dark, talking NW55 shade dark. 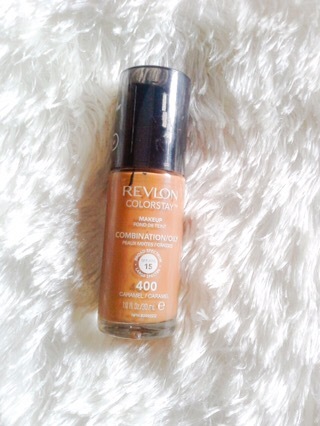 Revlon Colorstay Makeup Foundation for Combination Oily Skin in 450 Mocha shade is the bomb 💣! Best Foundation that I currently own that truly controls my oil producing face. It does this even better than MAC Studio Fix Fluid Foundation which is the most expensive foundation I own(purchased it for N8000 last October before both dollar and MAC Nigeria ran mad). The only problem with Revlon Colorstay Makeup Foundation is that it appears ashy after application in pictures and in the mirror. However it later on oxidises and gives a nice matte finish. 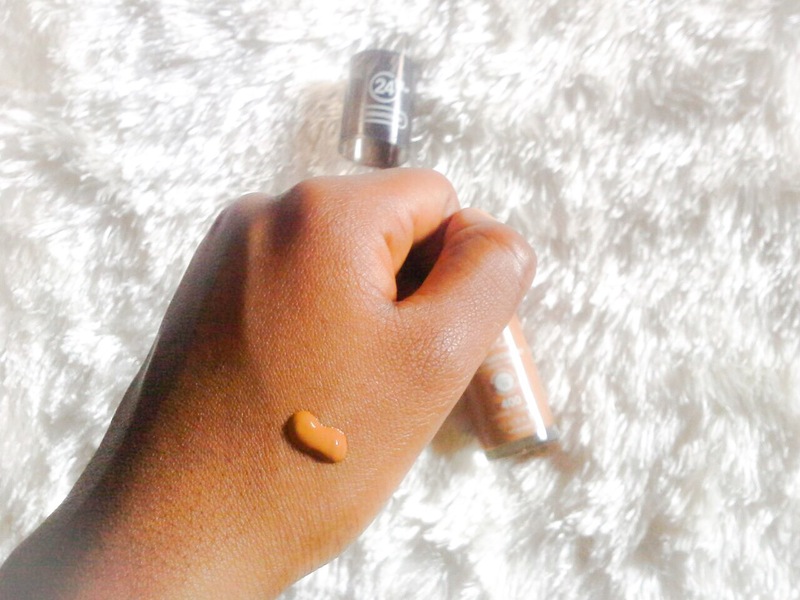 I love the Colorstay foundation too…I notice that the ashiness disappears when I set my face with a setting spray. The last time I checked, MAC studio fix fluid foundation was about N13000. Recently, I’ve been eyeing the Loreal Infallible Pro Matte and Estée Lauder Double Wear foundations. Ive heard the Loreal infallible is more mattifying than the Colorstay while the Estée Lauder Double wear is the higher end finish of the Colorstay. Everyone seems to love the Estée Lauder Double wear..
Hey, I found this (and a couple of other foundatin reviews) quite helpful. I was wondering is there any other place I could get this apart from the link you posted? And is it suitable for skin that’s prone to acne? Really helpful post. Hi, Leslie..and thanks for stopping by! I don’t have acne-prone skin but I’ve never heard anyone complain about any skin reactions to it. I could mention other places where you could get it, but that would depend on where you live. Thanks again for reading! I’m glad they helped..